Siphiwe Nkabinde began his career with Unilever, South Africa, during the days of Apartheid. His work ethic and articulate intelligence resulted in him moving into corporate positions that were not common for Black South Africans at the time. 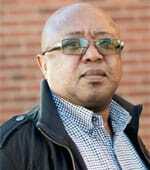 He is presently a consultant and trainer with Owen, Adendorff (Pty) Ltd. He specializes in Employee Relations and Conflict Management at the shop floor level. His fluency in English and isiZulu enable him to successfully mediate many “Management-Employee” conflicts. He has found the principles and techniques of the Conflict Savvy! workshops very helpful in both his work life and personal life. In fact, within 24 hours of being exposed to the concepts he was amazed at how effective they were at addressing long-standing conflict situations. His short, Zulu version of the program has helped Union Officials and Shop Stewards enjoy less conflict and stress whilst carrying out their duties. Siphiwe also works part time as a Human Resources specialist for two non-profit organisations where he has been tasked to put in place Human Resources systems. Siphiwe has extensive community involvement through the Methodist Church, for whom he chairs a number of groups and ministries. He is also a Board Member of the KwaMashu Child & Family Welfare Society that operates in and around KwaMashu, a large “Township” northeast of Durban, South Africa. He is active as a Lay Preacher on the Methodist preaching circuit and an excellent choral singer.